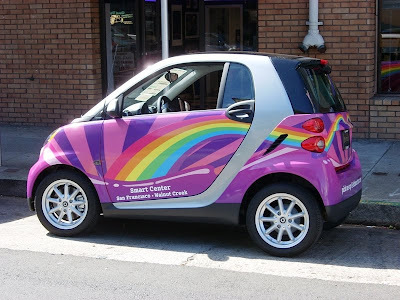 A few weeks back I designed this magical car wrap for the Smart Car dealership. 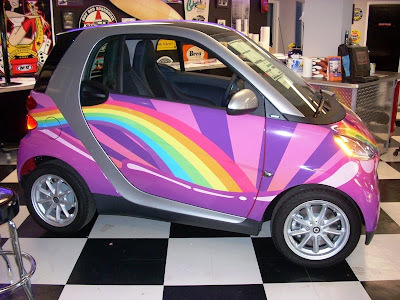 Its a car wrap. Its a gigantic decal that is printed on a large format printer. 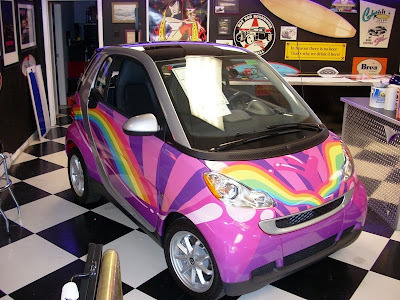 The car was a star in the Gay Pride Parade. Thanks to the fine folks at Signographics for hooking it up. Check out more of their work at signshopsf.com.